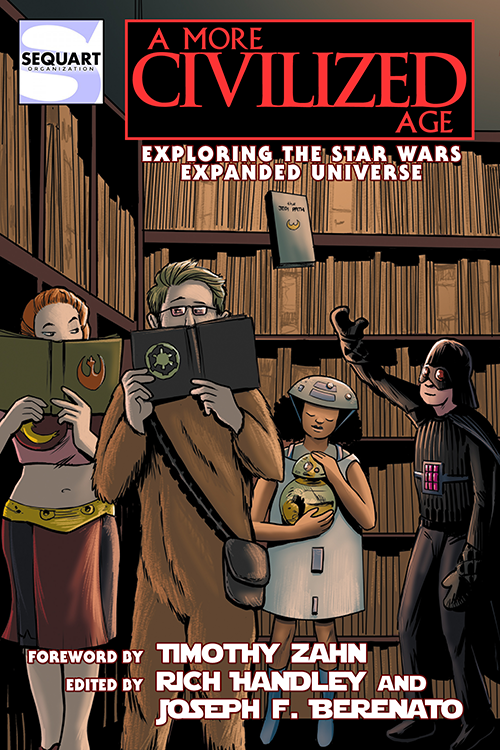 Sequart Organization is proud to announce the publication of A Long Time Ago: Exploring the Star Wars Cinematic Universe , an essay anthology edited by Star Wars Expanded Universe author, Rich Handley and Joseph F. Berenato. In 1977, the cinematic world was changed forever, thanks to a science-fantasy film about a farm boy, a princess, a wizard, a cyborg, two smugglers, and a pair of robots. Written and directed by George Lucas, Star Wars, in essence, is The Wizard of Oz meets The Odyssey meets Lord of the Rings, but in space, was a visual and audio extravaganza like nothing anyone had seen before. And yes, going to the movies would never be the same again. The movie ushered in two (soon to be three) film trilogies and numerous television shows, making the franchise one of the most successful of all time. Star Wars mesmerized audience-goers young and old with its state-of-the-art special effects and resonant soundtrack, and it made “May the Force be with you” a household phrase. A Long Time Ago: Exploring the Star Wars Cinematic Universe examines the entire Star Wars saga on the large and small screens. From theatrical films to TV movies, from cartoons and commercials, to variety shows and video-based amusement-park rides, the mythos continues to keep audiences glued to their seats. 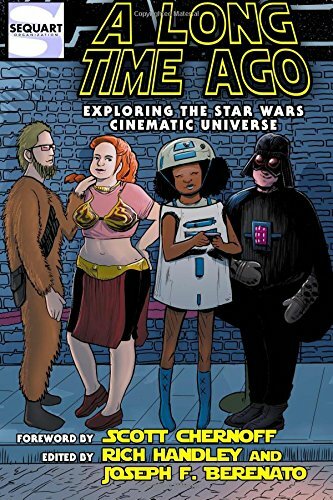 This anthology features insightful essays about the franchise’s long history, written by film historians, novelists, bloggers, and subject-matter experts, exploring why the films proved so immediately popular, where the movies and TV shows have succeeded and faltered, and why we all keep going back a long time ago to that galaxy far, far away. The book features a foreword by former Star Wars Insider editor, Scott Chernoff, and notable essayists include authors: Keith DeCandido, Kevin Dilmore, Dayton Ward; Star Wars fan-site creators Joe Bongiorno and Nathan Butler; plus Sequart alums Julian Darius and Ian Dawe. A Long Time Ago runs 354 pages and is available in print and on Kindle. Just a reminder: you don’t need a Kindle device to read Kindle-formatted books; you can download a free Kindle reader for most computers, phones, and tablets. For more information on the book please check out the official page or its facebook. 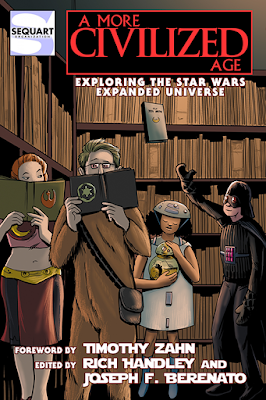 In the next twelve months, Sequart will release two more Star Wars-related essay anthologies. 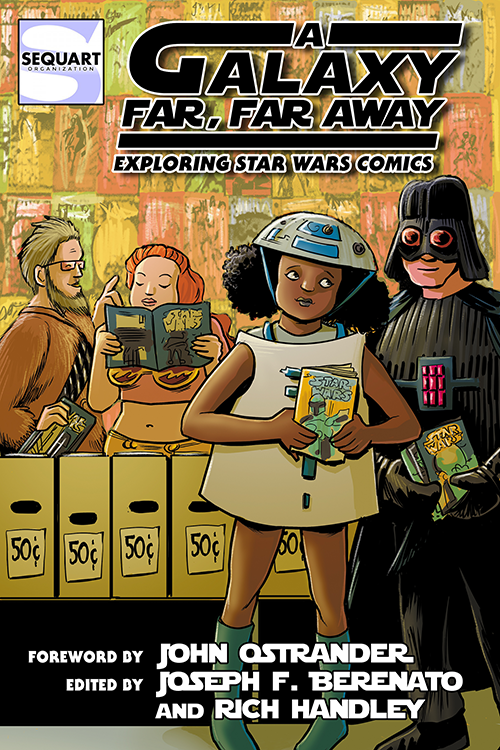 Summer 2016 will see the release of A Galaxy Far, Far Away: Exploring Star Wars Comics, with an introduction by John Ostrander. And just in time for Christmas 2016, we’ll release the final book, A More Civilized Age: Exploring the Star Wars Expanded Universe, with an introduction by Timothy Zahn. Sequart Organization is devoted to the study of popular culture and the promotion of comic books as a legitimate art form. Sequart has released twenty-four books, six documentaries, and thousands of online articles. Its documentaries include She Makes Comics, and its books include Our Sentence is Up: Seeing Grant Morrison’s The Invisibles. Sequart is currently producing a documentary on writing powerhouse, Neil Gaiman.